In The Far Side of the Dollar, private investigator Lew Archer is looking for an unstable rich kid who has run away from an exclusive reform school—and into the arms of kidnappers. Why are his desperate parents so loath to give Archer the information he needs to find him? And why do all trails lead to a derelict Hollywood hotel where starlets and sailors once rubbed elbows with two-bit grifters—and where the present clientele includes a brand-new corpse? 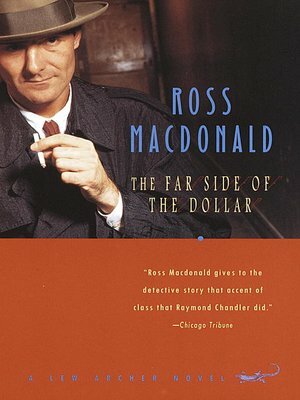 The result is Ross Macdonald at his most exciting, delivering 1,000-volt shocks to the nervous system while uncovering the venality and depravity at the heart of the case.